Ralco truly brings something new and different to the road. When we ride on a Ralco tyre, we are riding trust. A truly impactful technological solution that delivers the value, safety, and performance that we want from a tyre. 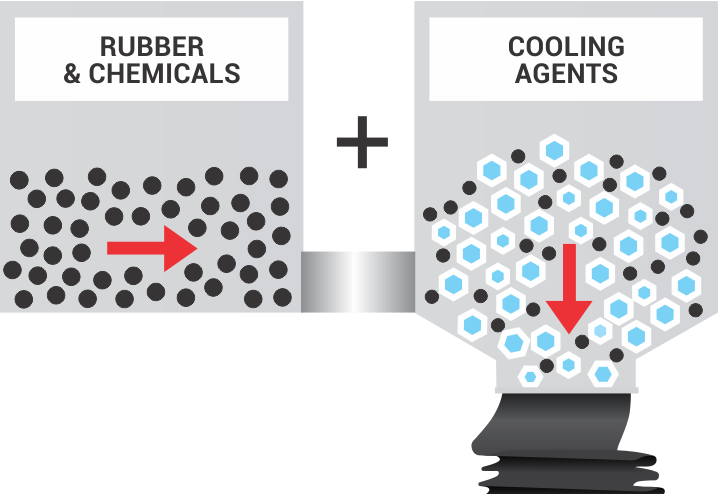 Compounding is the operation of bringing together natural rubber, process oil, carbon black, accelerator and other additives, each of which contributes certain properties to what is called a "COMPOUND". To obtain a homogeneous mixture, they are mixed at high temperatures in a massive mixer. The output of compounding & mixing is COMPOUND SLABS. The Ralco Tyre with Cool Compound Technology.